The REHAB Greg Dots is the ideal shoe for both a dressed and a casual look. 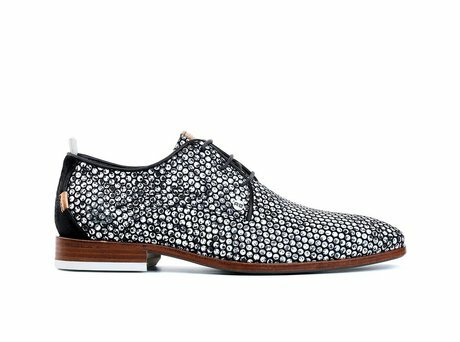 The low neat men's shoe is unique with its dotted print. The Greg Dots has a beautiful design effect. The back of the shoe contains a soft suede detail. The removable footbed ensures a comfortable fit for this neat men's shoe. Ontvang direct een e-mail zodra de REHAB GREG DOTS BLACK op voorraad is in jouw maat.